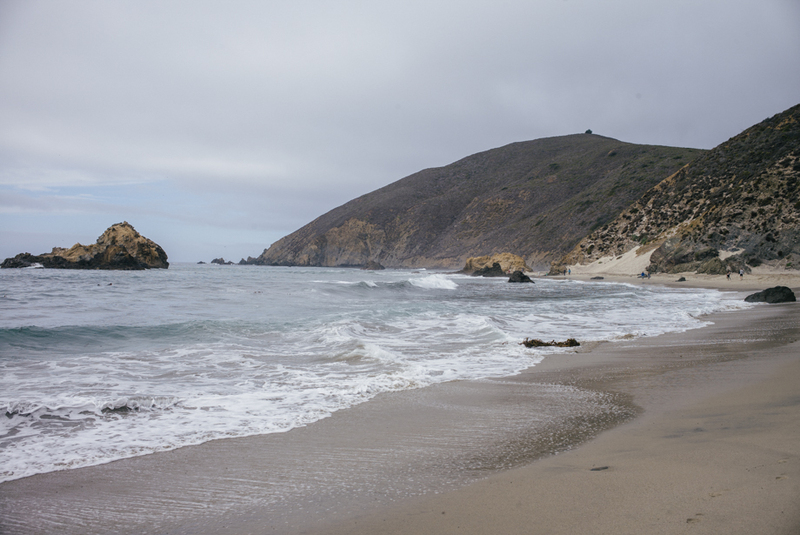 Big Sur is known for spectacular scenic views, serene landscape, and secluded destinations. It is Thomas and my goal to offer the most intimate details about this coastal oasis through our Essential Guide to Big Sur. Through our eyes, you can travel to key photo locations, quintessential Big Sur luxury hotels, and award-winning restaurants, whether you’re planning a one or two night stay, or just passing through. After all, a trip to Big Sur is not about the destination, but about the journey, so sit back, relax, and enjoy the ride! Hat- Beanie or Ball Cap/ Boots for exploring (I like to put my Hunter boots to good use)/ Running shoes for activities/ T shirt/ Jeans / Coat/ Knit Sweater/ Backpack & crossbody bag/ Scarf (for misty mornings)/ Sweatshirt / Shorts/ Dress (for dinner)/ Swimsuit– Especially if you are staying at Post Ranch Inn. The natural beauty of Big Sur makes it easy to find photo opportunities at every turn. With that said, it is also very easy to get distracted while driving Highway 1, so if you are the driver, please be sure to slow down and focus on the road instead of the view. Allow your significant other to evaluate what turn-offs are worth stopping for. Bixby Bridge – The historic Bixby Bridge was built in 1932, and connects Carmel to the rest of Big Sur. It’s also one of the most famous spots along Highway 1. To arrive at Thomas and my favorite angle, turn left, just before the bridge if you are headed south. If you are headed north, turn right, immediately after the bridge. This will take you to a road that goes up into the mountains. Follow the road just a little ways and look for parking. You should be perfectly angled so that you can shoot out towards the ocean and the bridge. 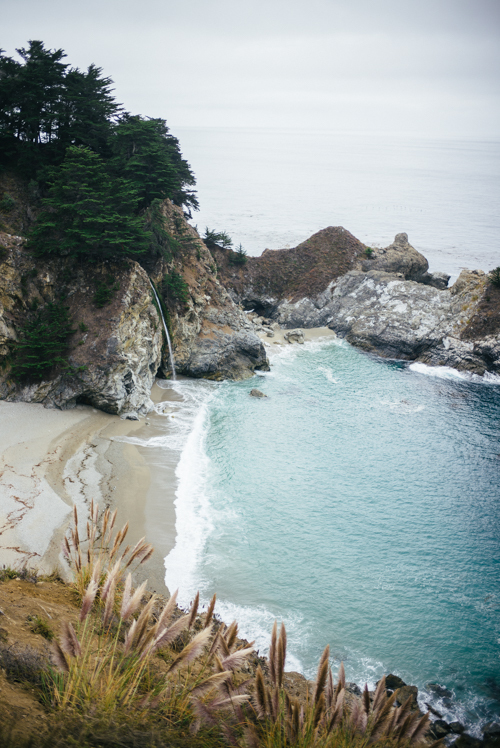 McWay Falls – This beautiful, ethereal waterfall never stops raining down onto the untouched beach below and can be enjoyed year round. It is also an ideal location to experience a magnificent sunset view. Pfeiffer Beach – In order to capture amazing photos of this iconic purple beach and rock formation, schedule your arrival time around sunset. Be forewarned, however, that, although Thomas and I did see some “purple” sand, it was nothing like the photos we had seen on social media, indicating that either the lighting was a large factor in creating the purple color, or the pictures were heavily enhanced through photo editing. 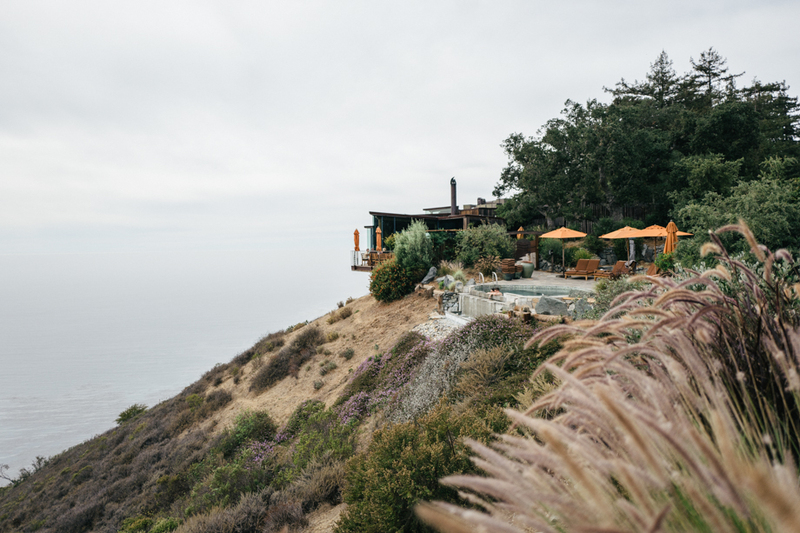 Essential Places to Stay in Big Sur – Thomas and I just recently stayed in Big Sur for the very first time. 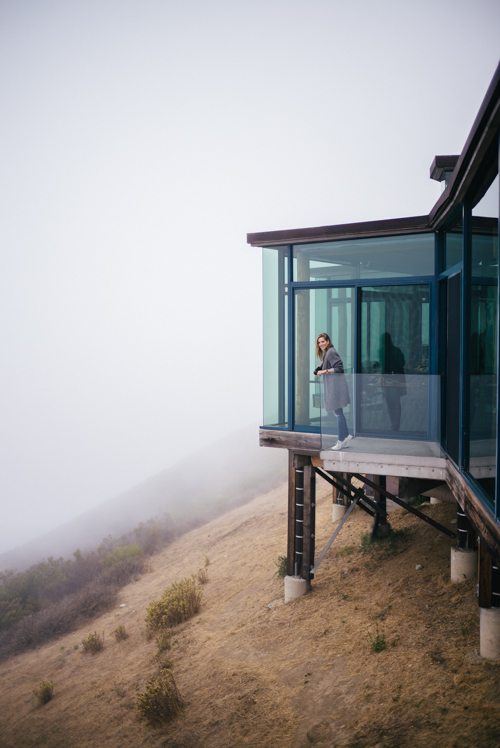 We stayed at Post Ranch Inn and absolutely fell in love with the modern yet rustic architecture that blended in so well with the natural environment. 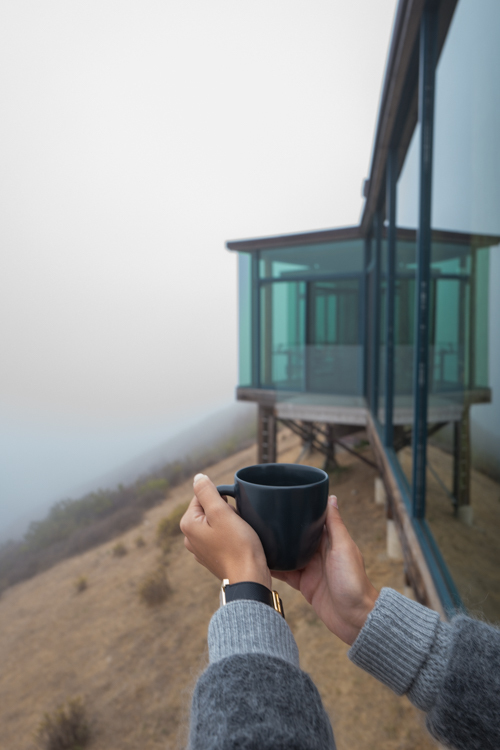 Two other Big Sur hotel properties that come highly recommended are Ventana, which offers high-end cabin-like charm, and Treebones Resort, which is known for its “glamping”, combining lodge-styled Yurts with an upscale camping experience. Post Ranch Inn– What can we say about Post Ranch Inn other than it just took our breath away! Everything was so gorgeous in a very humble way. And, though it may be a more pricey choice, it is more than worth it. The infinity-styled hot tubs with 180-degree views of the ocean will amaze you. And the food, especially the breakfast buffet, is divine. Essential Places to Eat in Big Sur – Thomas and I ventured out to explore Big Sur and enjoyed a delicious lunch at the Big Sur Bakery. We were also told to visit The Nepenthe for wonderful home-style food and whimsical tales! Sierra Mar at Post Ranch Inn – The Sierra Mar is the Post Ranch Inn’s award-winning restaurant that not only features exquisite displays of culinary delights, but includes organic ingredients grown right on the property, which Thomas and I most enjoyed! The views from the dining area are unsurpassed, with floor to ceiling windows that bring the ocean view right to you! As if Big Sur isn’t amazing on it’s own, if you continue to travel on Highway 1, past Big Sur, you will end-up in Carmel if heading North or San Simeon, where the famous Hearst Castle is located, if heading South. 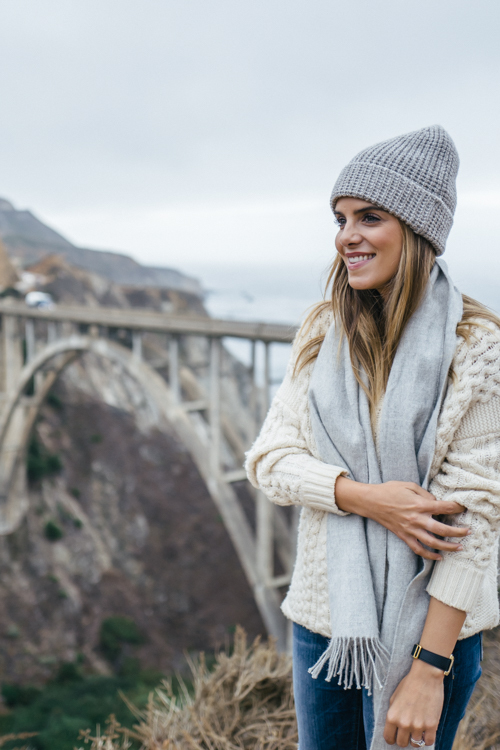 So, when planning a Big Sur getaway, you may want to add-on a day or two in order to experience everything this magnificent stretch of the California coastline has to offer! Wow Julia! I have never been there but with this photos… It’s a must! Wow!!! I just moved from SF and never made it down to Big Sur! Probably because I never found a travel guide like this! Loving all the travel tips you guys have been sharing – keep up the awesome work! What a great short trip, the scenery is so beautiful! Such an amazing post! Big Sur looks breathtaking! I absolutely love the photo of you in your maxi dress at sunset!! It was all perfect until I reached the last few photos and I went speechless! I still am! No words to say how stunning those photos are. Congrats to Thomas! On of the best hotels I’ve ever stayed in. Love your sunset pictures. Wow beautiful place and lovely post!! Oh these pictures are just a dream. I want to visit Big Sur so bad. Such gorgeous shots. Wow this scenery is stunning & the architecture looks beautiful! Oh my!!! Inspiration overload!!! These nature photos are incredible! This landscape is so beautiful! Looks amazing! Also the hotel; so nice! Also love you white sweater! Looks so cozy and warm! Perfect for the weather! Aww you are looking so gorgeous! I love the outfit with the white sweater! It looks so comfy! <3 And the photos are great! Stunning photos as always on your blog. Big Sur and Highway 1 in generally something I want to travel to in the future again. I had been once but it’s been quite a long time ago, so after seeing all of your photos I definitely need to go again! Thanks for all the tips! Great photos diary. This is such a suggestive place! It looks so beautiful!! It is on my list of places to visit. Amazing photos! These pictures look amazing! And you look so cozy in the first pictures! Beautiful places!!! Love these photos. Really love your looks! Seems like a fun trip and such a cutie (your boyfriend), you both look lovely. gorgeous photos, love the sweater! NEW BLOG POST!! Today we talk about DECOR: FALL HOME DECOR!! Everything you need to make your home transition into fall with style!! Don’t miss it!! It looks like you had the most amazing time, I love your knitwear collection. This time of year in the Big Sur looks so pretty! What an amazing trip. Those last sunset pictures are insanely gorgeous. Oh my goodness this place looks breath takingly beautiful! I love how serene and peaceful everything is and your last dress is gorgeous. Such a great easy piece to dress up in! Wow these pictures are stunning! 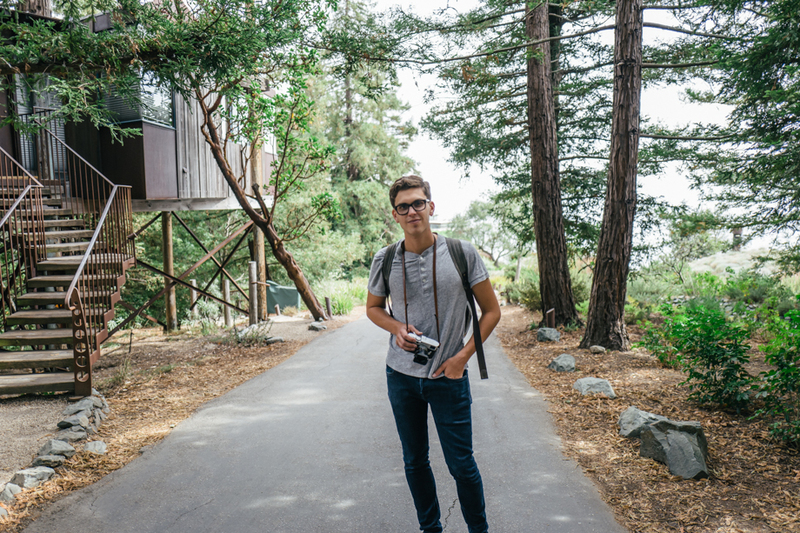 Thomas did and awesome job capturing the scenery of the big sur! That vacation is a DREAM! How stunning. 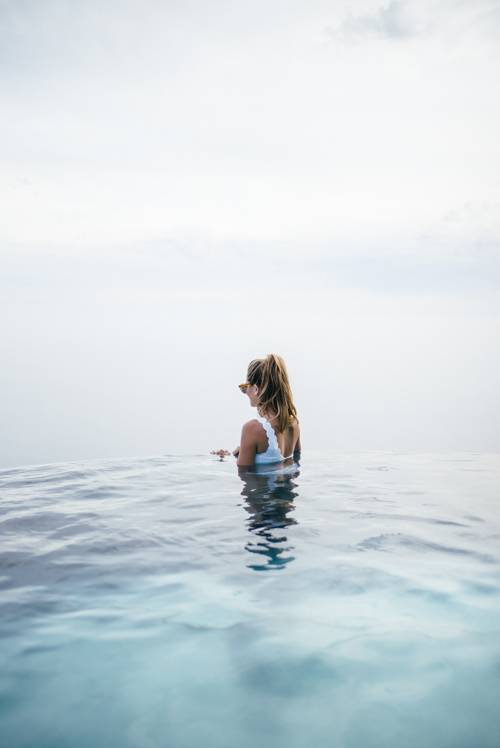 This post gives me major wanderlust! I would love to go to Big Sur. These photos are beautiful! Did Thomas take photography courses? Have a great week! That house is amazing!!!! Such a beautiful scenery!! The photos are just breathtaking! These photos are utter perfection! Big Sur is such a magical place. Love love love! 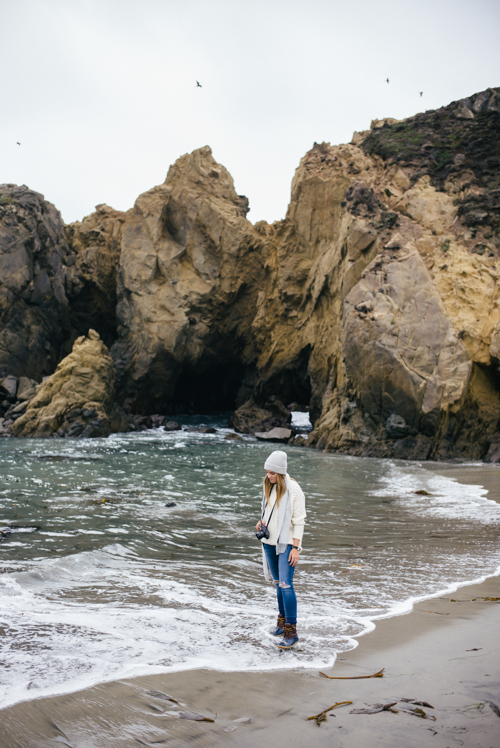 Love this roundup of your adventure in Big Sur! You look so cozy in those comfy sweaters! It’s definitely a place I want to check out! Love this post! All your outfits are so cozy and perfect for outdoors! Love these photos! Sounds like such an amazing trip! Thanks for all the tips. Great over-sized sweater for the cooler temps! This is on my dream list for travel! Gorgeous pictures! Beautiful place, amazing photos and very nice outfits :) Love it! Such a fun little getaway (and beautiful)! Big Sur is most definitely on my list of trips and thank you for the packing advice. I think packing is one of the hardest parts about traveling. I live on the east coast so whenever I travel to out west I never know what is needed and it truly depends on where you are going or maybe I am just a horrible packer, which could very well be the case! I’m from there and you’ve perfectly described it. Such a wonderful place to visit and you CANNOT beat the scenery!! Those sunset pictures are perfection. The name goes synonymously with the delightful breathtaking sceneries this mythical has to offer. Captivating and fascinating, the feel of being in the middle of nowhere, yet modern amenities appeared every so often. Yes, you have rather brought me back to this fabulous place of much the unknown, mystically secluded only for those with an adventurer hearts will only know . . . Simply magnificent! HI Julia- Love the weekender bag- do you have a suggestion for one similar? I soooo love your sweater! Julia, your pictures are absolutely breathtaking! Your ability to capture the scenery is impeccable! And I love all of the comfy yet perfectly stylish looks :) Please do continue to inspire!!!! 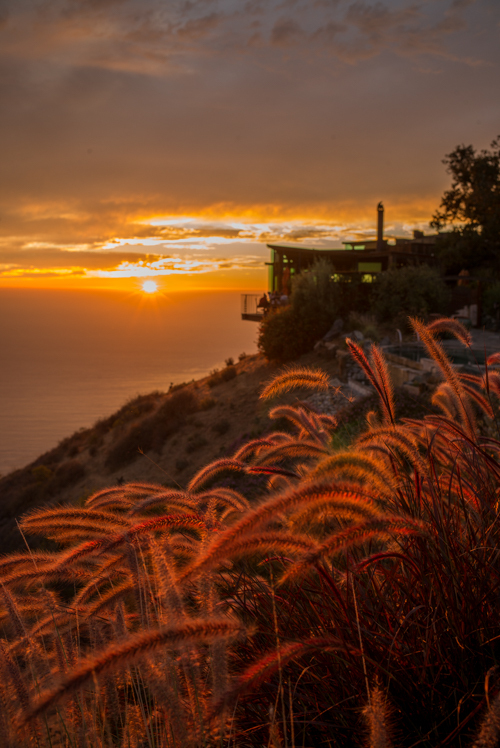 The Big Sur looks so amazing – those sunsets! Wow! The Big Sur looks amazing! It seems like you had an incredible trip. The pics in this post are stunning. Definitely will use this guide when I go to the Big Sur. Your pictures (especially the sunset ones) are gorgeous! Big Sur looks so beautiful and relaxing. Thanks for sharing some of the tips on how to get to your favorite picture locations! Wow these photos are amazing! Did you take lots of them with your new camera!? gorgeous quality!! Love the cable knit sweater and the photos are just stunning! You guys’ trip looked so heavenly! I loved following along on Snapchat. Beautiful looks! Highway 1 is such a beautiful drive! I’ve only stopped on the way to SF in Big Sur, but now I want to stay a night or two. It looks so beautiful there! Gorgeous pictures! That sunset is one of the most beautiful you’ve posted. What a beautiful spot, and I love how you’re sharing all the tips with us. You two have an amazing life with all your travel! Oh my goodness, Julia and Thomas, these pictures are incredibly stunning. I traveled to Big Sur this time last year and it’s such a gorgeous time. The sunsets are unreal! Now I”m dreaming of staying at the lodge. Love your first outfit. These photos take me into a dream land. Oh and I love the one of Thomas with his hand in his pocket looking at you. Moment captured! Love the variety of photos in this post! Your photographic skills are really apparent here. I love that you show your beautiful outfits, but also shots that emphasize the texture of the ground, the mist of the trees, etc. It really tells a story and helps build a strong sensory visual for us readers. Great job! I love Big Sur! We are so lucky to live in San Francisco and have all these amazing destinations only a road trip away. Thanks for sharing, this could be the perfect getaway for my boyfriends upcoming 30th birthday! What beautiful photos! Looks like a fantastic trip. Thanks for the recommendations! wow, just wow. Love all of this cant wait to go! I live in Monterey so I make the thirty minute drive to Big Sur quite often. I would add garrapata state park for hiking. The Big Sur river inn has a wonderful brunch and you can also grab a drink at the bar and put your feet in the river. The Henry Miller library is beautiful, full of history and tends to have live music on the weekends. Also you can only enter the private Esalen Institute if you are taking a workshop there but their hot spring baths are open to the public from 1am-3am! These pictures are all so gorgeous! Thank you for this post! It’s on my bucket list to make it to Big Sur and Monterey soon, and these are great suggestions! Oh it looks so serene I can’t wait for my trip next month. Loving your cream sweater. loving the beach side photos! So stunning. Adding to the travel list! The place looks stunning. I will go there any day. all of these photos are simply gorgeous! looks like a great place to visit. I love how comfy this outfit is while still looking cute! That sweater looks like the warmest and most comfortable thing! Those photos are also beautiful! This place looks absolutely amazing! wow- and you look gorgeous! Love the sweater you posted– buying that! Your outfits are always so perfect for every occasion! I’m loving the Big Sur guide. I’ve been to California many times but I haven’t been to Big Sur yet. Big Sur looks absolutely breathtaking. I’m adding it to my list! Just so you know its just Nepenthe, not The Nepenthe! I love this post! We are going to be traveling in California next summer, and I can’t wait to come back to this post to make a note of your photo stops when we drive along Big Sur! Wow…the location is so stunning. I can’t stop looking at that hotel pool!! – It’d be helpful to provide readers a variety of options for varying budgets. Big Sur can be as cheap as you’d like (grabbing a camp site or staying in nearby Carmel and finding a picnic spot along the road, or staying and dining at Ventura/Post Ranch Inn). – Would be helpful to post times to visit each roadside destination as Pfeiffer Beach has always been at capacity each time I’ve gone. – More details and photos of area dining (menus, reviews, and cost) would be helpful! – Perhaps even creating a sample itinerary for first-timers? Oh wow! This post is gorgeous! I’ve always wanted to go to Big Sur especially with my Husband! your photos just make me want to book a trip right now! The fog makes it look so ethereal. Your outfits look great as well, so cozy and stylish! seriously beautiful photos! now I can’t wait to visit! omg! I want to leave to Big Sur right now! Great guide girly! Wow these photos are stunning! It looks like such a magical place! Big Sur is definitely one of the most special spots in central California. I love it there. And I need to add staying at the Post Ranch Inn on top of my list. It’s beautiful. Great post! One of my favorite posts you’ve done! Gorgeous photos. 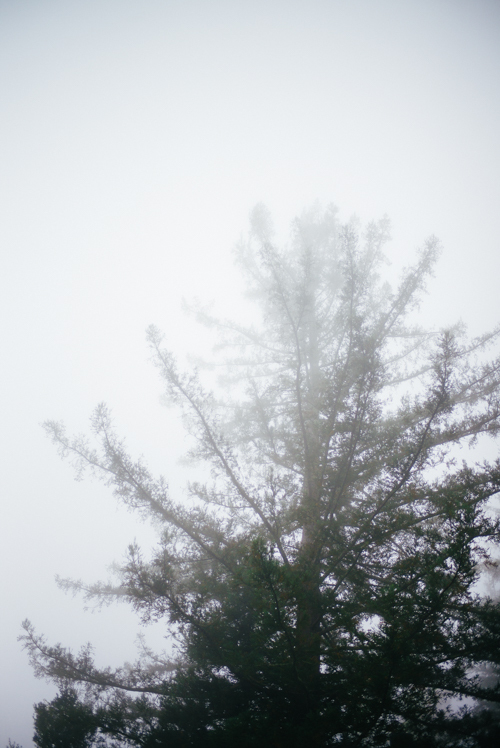 I’ve heard about Big Sur, but had never really paid much attention to it until recently…and then I saw this post. Bixby Bridge looks really magnificent and Post Ranch Inn really seems like a nice rustic laidback place to enjoy the scenery. I love the glass deck overlooking the cliff. Breathtaking! I love the pictures! They’re amazingly beautiful! Gorgeous view & gorgeous outfits! I hope to go there someday! Which of the accommodations at the Post Ranch Inn did you stay in/would you recommend? I just got back from a weekend down there and it is breathtaking! Love your guide and where you stayed! I have to say this is probably my favorite post you’ve done yet! Beautiful! Wow, it looks like you had an incredible time in Big Sur! Post Ranch Inn looks gorgeous and their pool on the edge of the cliff certainly provides stunning views. Wow. So stunning. Lived in the Bay Area for 6 years and I still haven’t made it out to Big Sur yet. May have to check this place out! Loved the post. Beautiful ensembles. And it so makes me wanna leave everything and travel right now. Looks great, I have been wanting to visit. Where is your watch from? SO cute! Big Sur is one of my favorite places in the world. I really enjoyed this post. Thanks for sharing your review all the beautiful pictures. 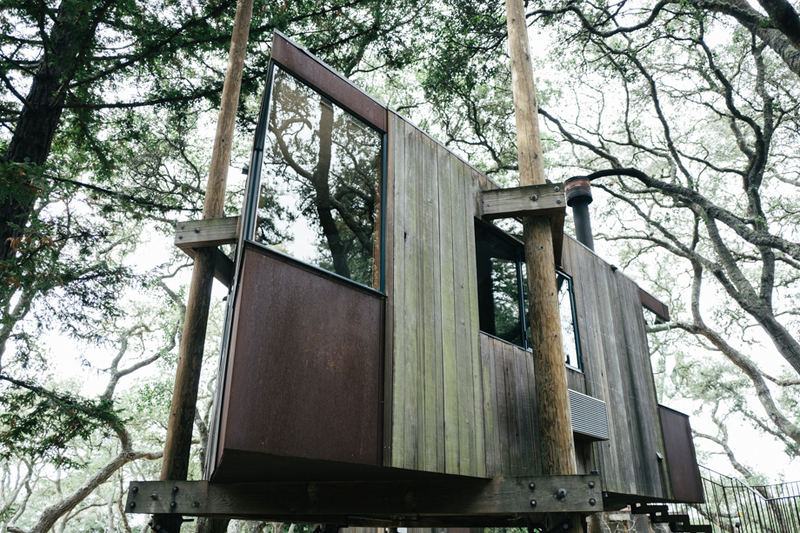 What a dream get away in that tree house, heath taking! Need that chunky cream sweater in my life as well! Julia, I love you! This post is awesome! P.S – You are PERFECT couple guys !!!! Wow. Those photos are stunning. I appreciate the substantive recommendations of places to visit. I’ll have to visit someday! Great post! From where is the adorable weekend tote?